Officially referred to as Gökçeada since July 29, 1970 (older name in Turkish: İmroz; Greek: Ίμβρος – Imvros), it is an island in the Aegean Sea and the largest island of Turkey, part of Çanakkale Province. Each August Gökçeada witnesses a series of celebrations for the Assumption of Mary, drawing many former Greek residents and their descendents. The participation in the commemorations is part of a larger revival of Greek culture on the island that accepts the island’s new reality, says the head of an association. The descendents of Greeks who were forced to leave Gökçeada in Çanakkale in the 1960s are slowly reviving their culture and presence there, even as they recognize the altered reality of the island, according to the president of the Gökçeada Association of Athens. Symbolic of this revival is the increasing numbers of Greeks coming to commemorate the Assumption of Mary, which is celebrated throughout the Orthodox world on Aug. 15, including Gökçeada, known as Imvros in Greek. The celebration attracted greater attention this year with the attendance of Greek Foreign Minister Stavros Lambrinidis, the highest-ranking official yet to visit the island, the home town of Phanar Greek Patriarch Bartholomew I. Lambrinidis was followed by the mayor of Thessaloniki, Yiannis Boutaris, who attended the same ceremony. The presence of the high dignitaries, days before their feast of the Assumption of Mary in Tepeköy, is very important, said Kostas Hristoforidis, president of the Gökçeada Association of Athens. 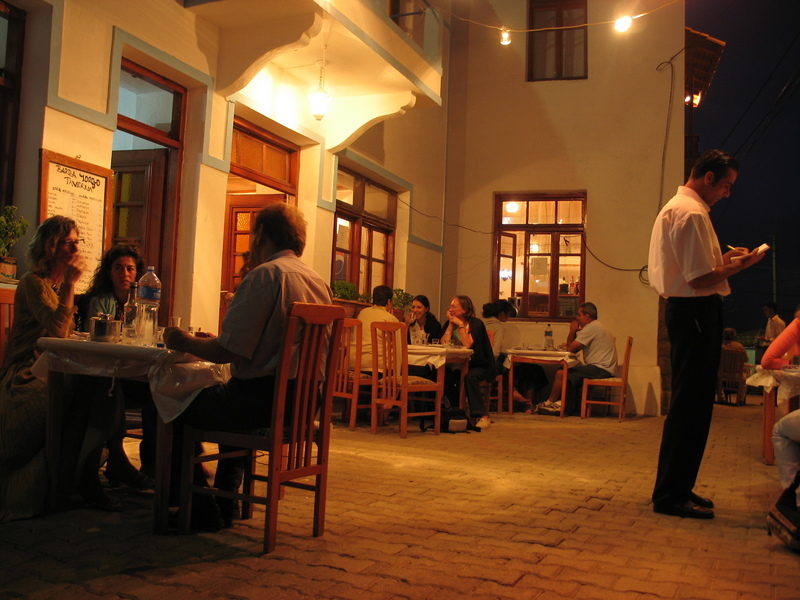 Hristoforidis said the feast contributed to the younger generations’ refraining from transforming “their identity into an ideology” and added that this was important because it had prevented the island’s Greeks, many of whom left in difficult circumstances due to tensions surround Cyprus in the 1960s and 1970s, from resorting to revenge or hate. While some members of the older generation have refused to set foot on the island again due to their past traumatic experiences, the younger generation has shown fewer inhibitions about coming to the island, holding their Aug. 15 feast and having fun. According to Hristoforidis, the feast of the Assumption of Mary is part of the revival of Greek culture on the island and demonstrates the different experience of the Gökçeada Greeks, who were not subject to the 1923 population exchange between Greece and Turkey as Anatolian Greeks were. Despite a big exodus from the island, Greeks have continued to live there and their villages have never been totally abandoned. With the present revival, roughly 600 houses belonging to “fathers and grandfathers” have been repaired even though the correct legal, political and economic conditions to undertake them never fully materialized. For instance, many of those repairing buildings were the original inhabitants’ grandchildren and held foreign passports depriving them of the right to inherit the property in which they were investing their money. Despite past problems, Hristoforidis said the community retained many things, such as their property, chapels, churches and traditions. When asked about the difficulties of the past, Hristoforidis pointed to 1964, when systematic policies depriving the area Greeks from economic and other opportunities essentially forced them to emigrate to Greece. During the 1960s, thousands of hectares of land were expropriated for various reasons while fishing was also forbidden to a certain extent, he said, adding that the most difficult measure was the closing down of the minority schools, an event which forced Greek children to attend Turkish schools. Many, in turn, could not even afford to send their children to schools in Istanbul. As a result of all these policies, people started to leave the island in droves, often crossing illegally at night with boats to the Limni and Samothraki islands of Greece because they could not afford to emigrate through proper legal channels. There were 6,500 Greeks on the island in 1964, but by 1990, only 300 people were left in six villages of the island. 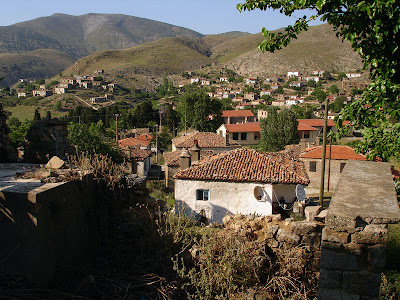 A seventh village Kastro, or Kaleköy, was evacuated on the day Turkey intervened into the Cyprus conflict in 1974; the experience was reportedly so traumatic that none of the villagers have ever returned for a visit. During these times of tension between Turkey and Greece, each country’s respective minority – whether Turks in Greece or Greeks in Turkey – were effectively held hostage to the prevailing raisons d’état. While some have said the present relations are “the best since 1964,” problems such as inheritance issues remain for non-Turkish citizens. Many islanders, upon leaving the island, migrated to different countries and over time, obtained citizenship there; some males then lost their Turkish citizenship by not completing their military service. Similarly, the reality of the island today meant that some people’s property was occupied for years by those who migrated to the island. These properties have now been transferred to their occupiers due to the statute of limitations. Also, schools have been rented out to investors by the government as hotels or restaurants. Asked about fears of another downturn in Greek-Turkish relations, Hristoforidis said they were attempting to think positively. The revival has moved beyond house renovations, he said, but added that the community recognizes the new reality on the island and that there is now a Turkish community that needs support. The relationship between the two communities could further develop, especially as the Greek economic crisis has spurred investment opportunities between the communities and countries. By next year, a sea connection could be established with Greece, an idea supported by the high dignitaries visiting the island. Furthermore, Turkey has not only been encouraging Gökçeada Greeks to return and invest on the island, it was also acknowledging their existence, accepting them as a counterpart and inviting them to Ankara for the resolution of their problems. In other words, Turkey now accepts them as part of itself – something the people of Gökçeada have long felt already.